Home Staging Furniture & Décor Rentals | Furniture Rentals Inc. Stage Your Home with Premium Furniture by Furniture Rentals, Inc. Selling a home? We can help. We understand the importance of first impressions! In real estate, home staging is a tried and true method to create a terrific first impression for the home buyer. Visit your nearest Furniture Rentals, Inc. showroom location in Mt Pleasant SC, Columbia SC, Augusta GA, or Savannah GA to choose from our contemporary, traditional, & elegant furniture pieces to perfectly stage your space! Furniture Rentals Inc. offers a beautiful array of furniture, along with accessories such as rugs, artwork, mirrors, and greenery for your home staging project. We have worked with professional stagers and realtors since 1973, and have also been very successful helping private individuals stage their own homes with the excellent help of our friendly, well-trained staff. Contact us today and we will work with your budget to help you plan your home's staging. 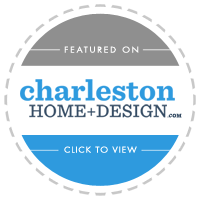 Furniture Rentals, Inc. has been featured in Charleston Home & Design & endorced by many home stagers throughout the Southeast. with furniture & décor items that align with your staging needs, style preferences, and budget. Each store location showcases a wide-variety of home furnishings not displayed online; many of which are one-of-a-kind!